Different crafts serve different purposes. They fulfill different needs. Some crafts fulfill the need to make something cuter. Some crafts fulfill the need to make something functional. Some crafts fulfill the need to dress up, to keep body parts warm, to decorate for a party, to de-uglify the living room curtains, to wrap presents in a way that makes you look like you have oodles of free time and are so incredibly clever because you figured out how to incorporate cinnamon sticks into the art of gift wrapping (or you saw someone else be clever on Pinterest & you’re an effective copycat). And some crafts fulfill the need to stick a damn bird on something, anything, or everything. 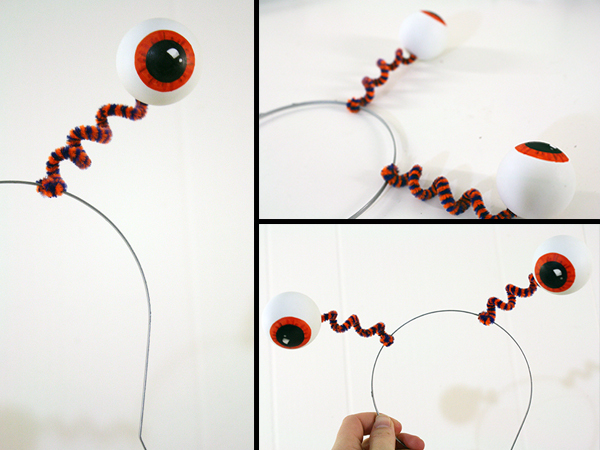 Or it could simply fulfill the need to do a fun & easy Halloweeny project with or for your kids. Or for you. Or your cat. Personally, this plus monster hoodie plus monster gloves and a whole bunch of googly eyes stuck all over is my backup plan if I don’t have time to make myself a proper costume, which is looking more and more likely. I’ll just cover myself in teeth and eyeballs, and no one better argue with that. wire cutters or a pair of pliers that have a wire-cutting edge at the back, or a pair of old, wrecky scissors. 1) Start by drawing a rough circle on one of your ping pong balls with the black permanent marker. 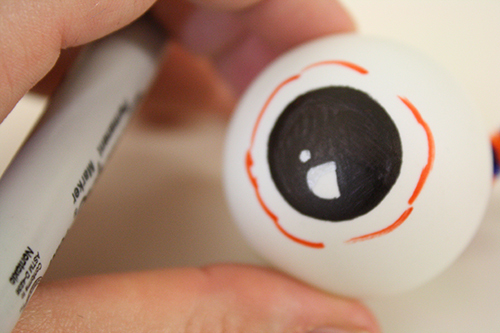 If you’ve got a ping pong ball that has a logo or other emblem on it, draw the circle on the opposite side of the ball as the logo, so the logo will be at the back of the finished eyeball. Just sketch out a rough circle, then carefully start fixing up the edges to make them more rounded. Then colour in the circle – leave a little unfilled white space if you want to give it that shiny look, as though light is being reflected in the eye. If you’re having trouble getting a nice even circle (or think you will have trouble), try this: punch or cut out a small circle in a piece of medium weight paper. 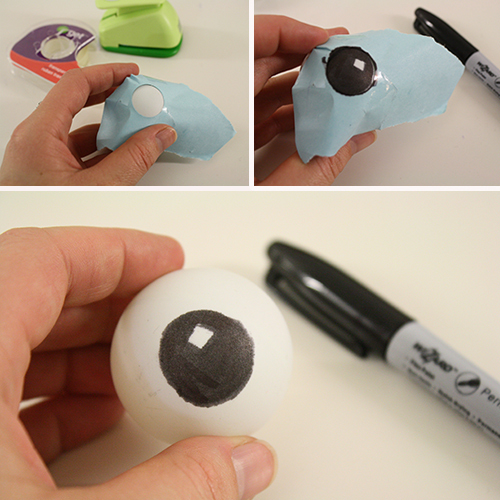 Tape the paper tightly overtop of the ping pong ball, then use that to fill in a black circle. 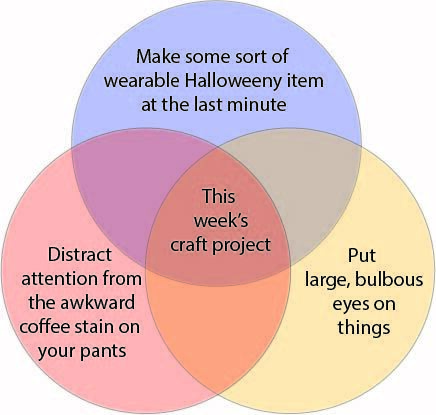 It still won’t give you a perfect circle, but it will help get you there. 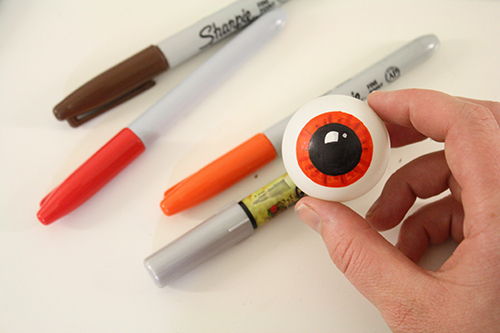 2) [Optional] Draw a coloured circle around the edge of the pupil, then fill that in. You can make some little stripes of another colour or two for added depth and detail. You can also add in some more shine on the pupil with a silver marker or paint pen. 3) Now grab your hammer and a large needle, and set the ping pong ball pupil-down in something that will keep it from rolling. I just used the plastic packaging the ping pong balls came in – a cradle of fabric or an empty egg carton would also work. Poise the needle on the back of the ping pong ball, and use the hammer to poke it into the ball, making a small hole. 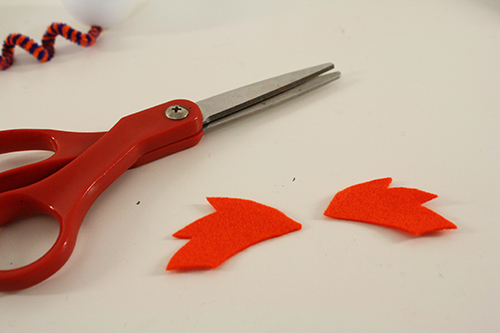 Wiggle the needle around a bit to make the hole slightly bigger, then pull it out. If you want you can make a small mark on the back of the ball, so you can see where you want the hole to go. If you keep the mark small, it won’t really be visible in the end anyway. 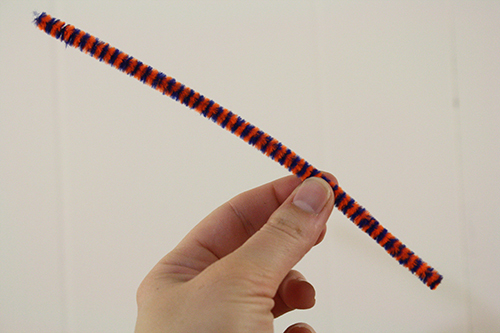 4) Cut a pipe cleaner down so it’s about 5 inches long. 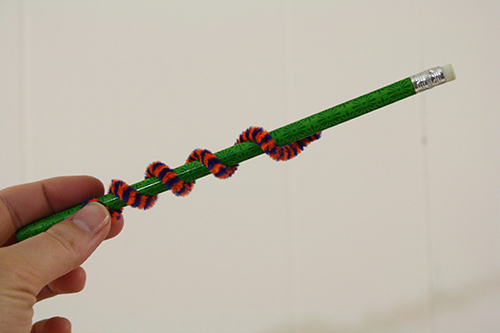 Now twist the pipe cleaner evenly around a pencil, so it’s coiled. 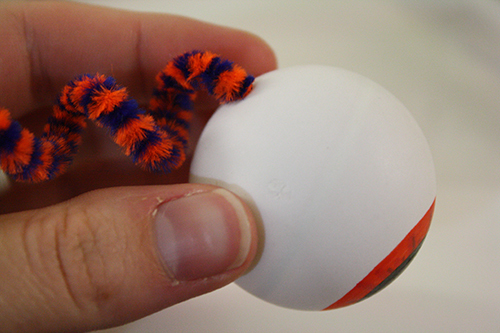 5) Poke one end of the coiled pipe cleaner in through the hole in the back of your ping pong ball. The hole should be small enough that it’s a tight fit, so the pipe cleaner will stay securely and the ball won’t fall off. That’s why you use a large needle for making the hole, rather than a nail. 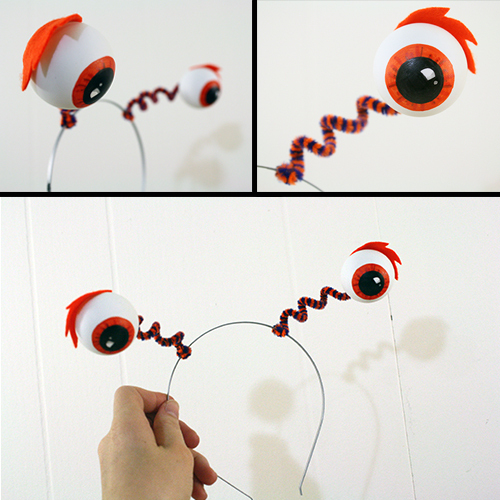 6) Dab a bit of glue on the top of the headband on one side, where you want to attach the eyeball stalk. 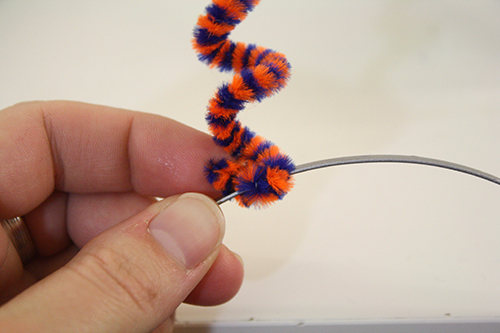 Then wind the bottom of the pipe cleaner tightly around the headband a couple times. 7) Voila! Repeat for the other eyeball. 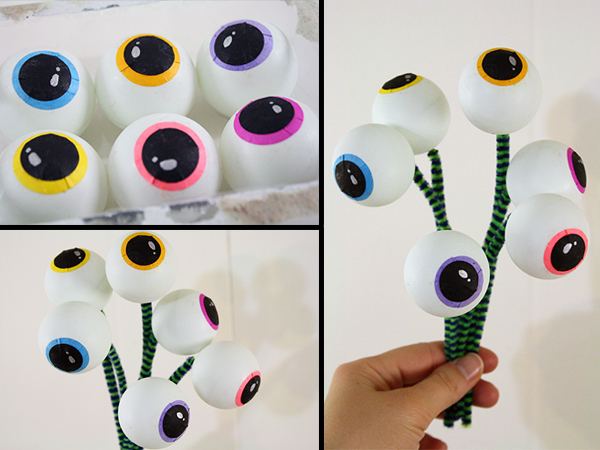 A couple of other ideas: you can also make eyeballs by cutting out small circles of black and coloured paper and gluing them onto the ping pong balls. The paper has to be held down while it dries, and requires being creased and crumpled a bit around the edges in order to sit flat on the balls. 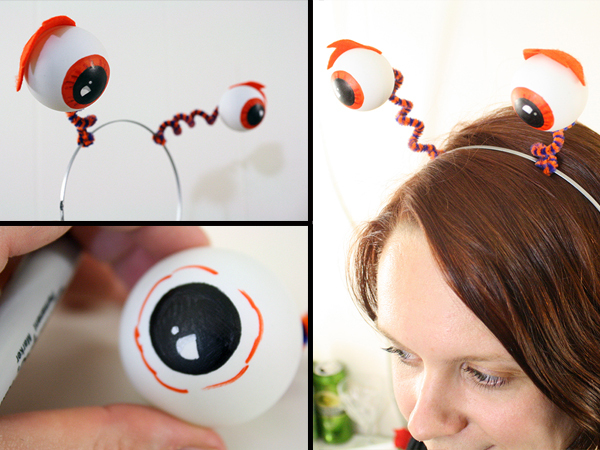 With either method, you can also make a spooky eyeball bouquet instead of putting them on a headband. ice cube tray candles, and BRAAAAAAINS!!! 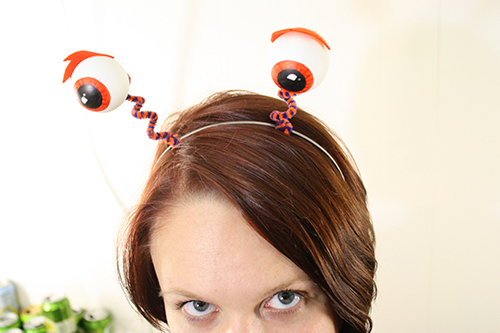 What’s up,I read your blogs named “ping pong eyeballs headband | Tally’s Treasury” daily.Your writing style is witty, keep doing what you’re doing! And you can look our website about اغانى شعبى.